The new Ben-Hur opens today, which can't help but put moviegoers in mind of the 1959 MGM blockbuster. That classic starred Charlton Heston and won a pile of Oscars. Another "Mission: Impossible" movie opens today. The franchise has been good to Tom Cruise, raking in more than $2 billion in worldwide box office receipts. So now take five. Here's our critic Kenneth Turan. We report next on "A Most Violent Year." That may well be one description of 2014. Though, we mean it a little differently here. 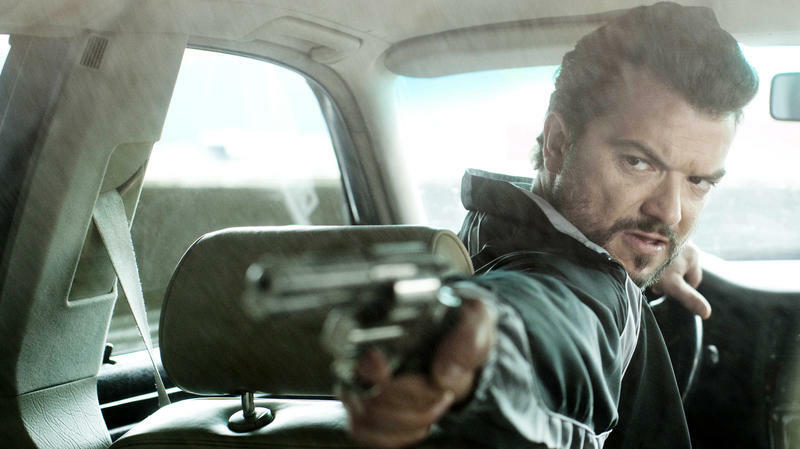 "A Most Violent Year" is a new movie, reviewed here by Los Angeles Times and MORNING EDITION film critic Kevin Turan. And now to a movie review. Actor Jake Gyllenhaal has been in many memorable films - "Brokeback Mountain," "End Of Watch" - film critic Kenneth Turan, though, says "Nightcrawler" is the best work he's ever done. When star Denzel Washington and director Anton Fuqua collaborated on 2001's Training Day, the film won Washington an Oscar and changed the trajectory of his career. Now they are together again. 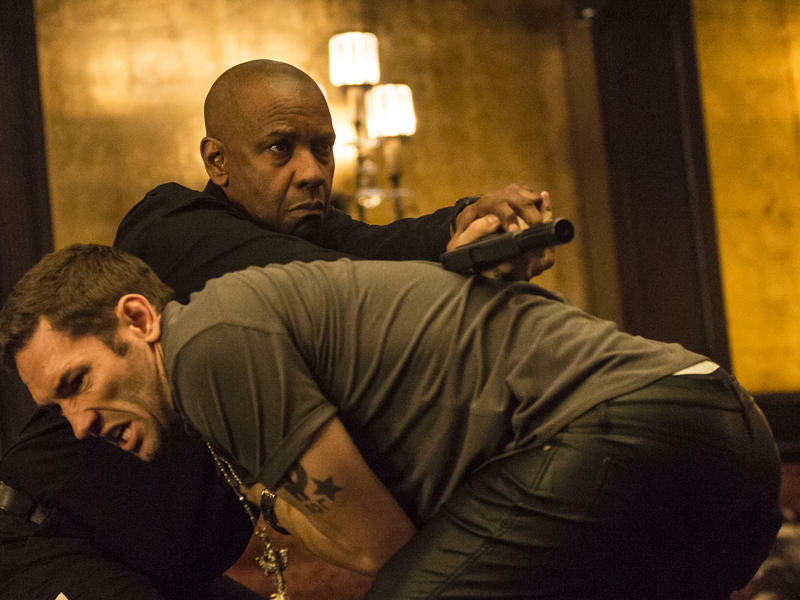 The Equalizer is unapologetic in its excessive, frequently grotesque violence. But because it's got Denzel Washington as its star, it's more interested in character development than you might guess. A legendary Japanese animator has a new film out this week. It's only in select theaters for one week only, just enough to qualify for the Oscars. Our film critic Kenneth Turan says "The Wind Rises" is worth seeking out. Another movie opening is "Pacific Rim." Critic Kenneth Turan says it has plenty of explosions and special effects, but he says there's actually more to it than most of the other blockbusters this summer. The director Danny Boyle is best known for the Oscar-winning "Slumdog Millionaire." His latest film is called "Trance," but Los Angeles Times and MORNING EDITION film critic Kenneth Turan was not put under its spell. The film critic Roger Ebert died yesterday after a decade-long struggle with cancer. He wrote for the Chicago Sun-Times for 46 years. But it was a job that started as a side gig on TV, in 1975, that would make him a household name. "Gimme The Loot" is a new independent film that's had a charmed life, including winning the Best Narrative prize at South by Southwest and an appearance at the Cannes Film Festival. Los Angeles Times and Morning Edition film critic Kenneth Turan says it's worth the fuss. A new movie in theaters today is titled "The Odd Life of Timothy Green." And film critic, Kenneth Turan, found the movie, itself, odd. Look for a review of the new science fiction epic "Total Recall" and you'll see headlines ready Total Makeover. You might recall the 1990 original starring Arnold Schwarzenegger. With our review of the remake, here's Kenneth Turan. Will 'Prometheus' Top 'Alien' Or 'Blade Runner'? Ridley Scott has made two of the most acclaimed science fiction films, "Alien" and "Blade Runner." Los Angeles Times and MORNING EDITION film critic Kenneth Turan has this review of the director's newest sci-fi effort, "Prometheus." OK, so it's still officially spring, but the movie world is kicking off the summer blockbuster season this weekend with a whole lineup of superheroes in Marvel's "The Avengers." Here's film critic Kenneth Turan's review.